If you enjoyed this story be sure to share it with a friend. Just as you may share Hapkido with your friends by inviting them to class. Haemukwan Hapkido is a form of martial arts that has its origins in Korea. It is based on principles shared by Karate, Aikido and Judo. The teachings of Hapkido are meant to use martial arts not as a means of purposely inflicting injury, but rather as a form of self-defense. Because Hapkido is more about self-defense, it is known as a soft form of martial arts. Haemukwan Hapkido focuses on developing the individual as a whole through complete mind, body and spirit training. The word Hapkido means (hap) harmony, (ki) energy and (do) the method. Haemukwan means (hae) new, (mu) martial and (kwan) school or family. By using this philosophy, a person trained in Haemukwan Hapkido can use an opponent’s own force of energy against him. Hapkido was introduced during the Ko-Ryo Dynasty (918 A.D. to 1392 A.D.). It became a form of martial arts that was widely used until Japanese rule. It was reintroduced to Korea by Choi Young Sool in 1945. Richard Hackworth was the senior student of several of Choi Young Sool’s original students. He combined their curriculum’s under the Korea Hapkido Federation regulations. Since being officially recognized as a style of Hapkido in 2000, Richard Hackworth has visited countries around the world in order to promote the art through seminars and establishing new schools. Haemukwan Hapkido uses techniques to defend against attacks with the use of pressure points, joint locks, strikes, kicks, chokes, strangles and using the opponents own force against them. As with all styles of Hapkido, Haemukwan Hapkido is based on three principles: water principle, circle principle and harmony principle. With water principle, you use your movement like the fluidity of water, while using circle principle means redirecting your own energy through circular force and harmony principle means blending the two previous principles to balance your mind, body and spirit. The physical and spiritual being of a practitioner of Haemukwan Hapkido is incorporated to develop the capabilities of self-defense. It also helps to harmonize your well being by keeping a state of peaceful balance. 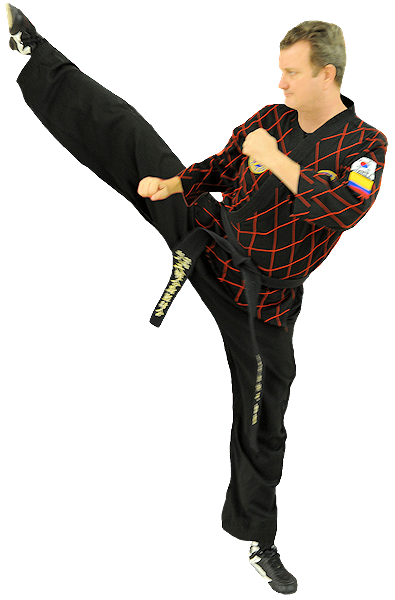 About the author: Richard Hackworth is a Grand Master of Hapkido, Taekwondo and Korea Sword. Hackworth is best know as the host of “World Martial Arts TV” and the “World Martial Arts Radio Show” . You can hear his weekly radio show at www.worldmartialartsradio.com . To learn more about Richard Hackworth and the martial art of Hapkido subscribe to his free Hapkido e-newsletter at www.haemukwan.com . Feel free to check out his school website at www.americandragononline.com .